We cannot get enough of these Chinese dumplings. The filling is super-savory, and I'm just gonna leave the word CRAVE here rather than subjecting you some horrible adjective Frankenform of that term. It's definitely a project to make your own dough and roll out each little circle before filling and cooking it, but sometimes you want a kitchen project, right? This dough starts out very sticky. Keep adding flour as you knead until it's smooth, as shown in the video below. I had a MOMENT on Chinese New Year, you guys. It was a dumplings-or-bust kind of moment, very early in the day. If there were such a thing as too early in the day for dumplings, it would’ve been too early for dumplings. But I think we can all agree that there’s no such miserable thing as that. There’s plenty of good Chinese takeout available in my life. A sane person with an insane craving for Chinese dumplings might take the hint. 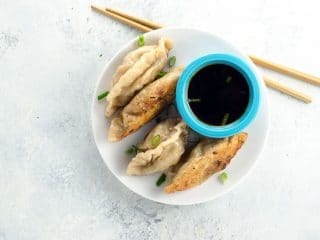 Dumplings are a bit of a project, to say the least, especially when you make the dough. But sometimes a bit of a project is exactly what you need. That’s one of the beautiful things about food. It isn’t just for eating. It’s for learning and stretching and meditating and healing and loving. (And also for eating, and thank goodness for that — don’t get me wrong. Oh hi there, mortal.) I think I needed a lot from dumplings the other day. Be sure to watch the quick little video to give you an overview of the dumpling-making process and hopefully make it less daunting. Have fun! 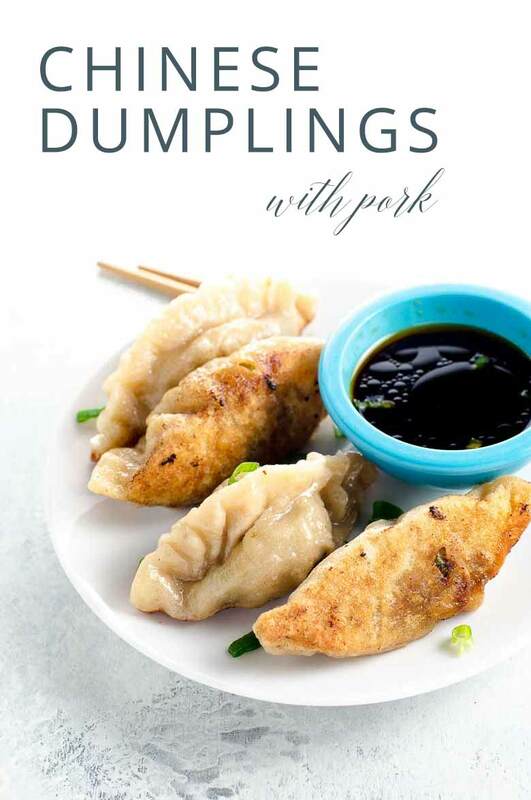 We cannot get enough of these dumplings. The filling is super-savory, and I'm just gonna leave the word CRAVE here rather than subjecting you to some horrible adjective Frankenform of that term. It's definitely a project to make your own dough and roll out each little circle before filling and cooking it, but sometimes you want a kitchen project, right? The dough is lightly adapted from the wonderful Molly Yeh's family recipe on Food52. Makes about 30 dumplings. In a medium mixing bowl, stir together the flour and salt. Pour in the boiling water a little at a time and mix with a spoon until incorporated. Pour in the cold water a little at a time, continuing to mix until you have a very wet, sticky dough. Place dough in a clean bowl, cover with a clean kitchen towel, and let rest while you make the filling. Place the pork in a medium mixing bowl. Remove white stems from cabbage leaves and finely shred the green leafy parts with a knife. Add shreds to mixing bowl. Add egg to one side of bowl and lightly beat with a fork. Add ginger, garlic, soy sauce, sesame oil, salt and scallions to bowl. Use your hands to combine the mixture thoroughly without compressing it. Pinch off dough by the tablespoon (approximately — don't stress). Roll into a ball between your palms and place onto a floured work surface. Roll out with a floured rolling pin into a 3- to 4-inch circle. Place a tablespoon of filling into the center and fold dough into a semicircle around filling. Use your fingers to press the edges of the dough together and then to crimp the edges. (Again, see video. It's not hard at all, promise, but a little imagery goes a long way.) This process takes a WHILE, and it's fun to have help. Add dumplings in batches of about 8 and boil on medium-high heat for four minutes. 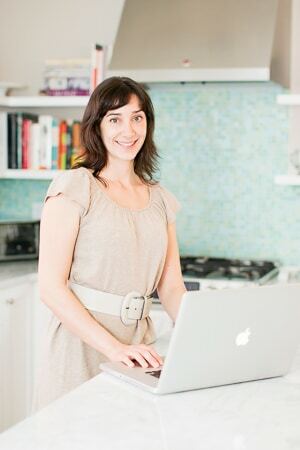 Meanwhile, set a large frying pan with two tablespoons of safflower oil over medium heat. 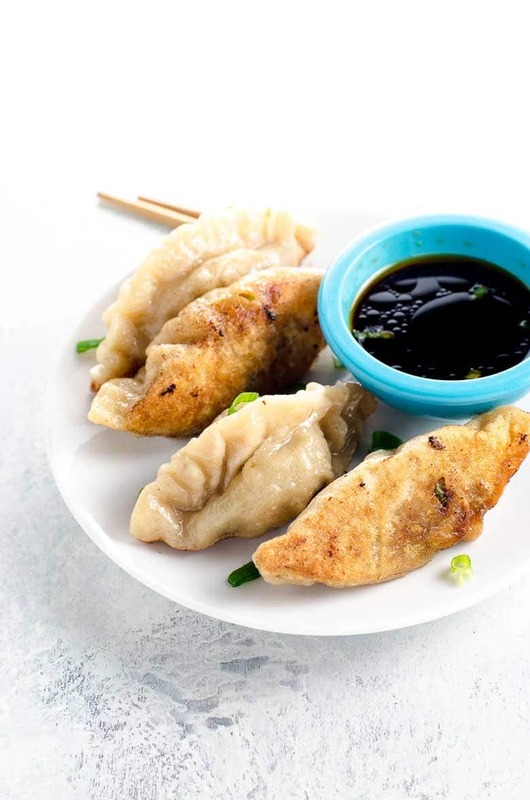 After boiling, carefully shake or blot excess water from dumplings and add dumplings in batches to frying pan. Cook for a few minutes until undersides are browned, being careful for splatters. Blot excess oil from dumplings before serving with dipping sauce. Stir together tamari, rice vinegar and hot chili sesame oil in a small bowl.